Cristiano Ronaldo is reportedly eager for Juventus to seal some big-name transfers, including Manchester United midfielder Paul Pogba. The Portuguese superstar joined Juve in the summer from Real Madrid, but looks unlikely to win an incredible fourth Champions League final in a row. The Italian giants are 2-0 down to Atletico Madrid from the first leg of their Champions League tie, and would do well to overturn that on Tuesday night’s second meeting. 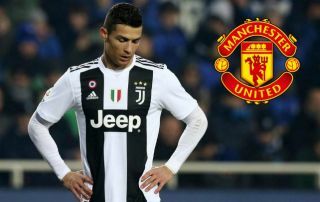 It makes sense, therefore, that Ronaldo wants to see Juventus strengthen with some big names, and Don Balon claim he’s keen for the club to re-sign their former star Pogba. On top of that, the 34-year-old is also said to be keen on the Turin outfit to bring in two of his old team-mates from Real Madrid in Marcelo and Isco, according to Don Balon. It’s clear all three of these could really take Juventus up a level, but it remains to be seen how realistic such an epic spending spree would be. Pogba is particularly important to Man Utd right now and a sale seems unlikely, even if one could imagine the player himself being tempted to move to a team that may guarantee more trophies.